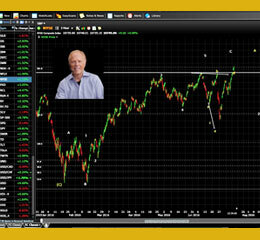 NYSE, SP500, DOW, and emini futures (ES, NQ, and YM). Each weekend, you’ll get an extended video report, along with posted charts and commentary on the major indices and currencies listed above. A weekly (Thursdays) one hour interactive online “chart show,” in which I’ll discuss the market, current patters and projections, and answer questions. Attend live or watch the recording later. 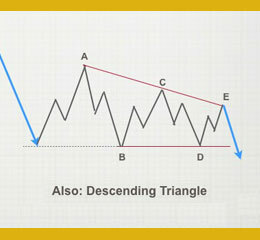 Each evening, I’ll post a 5 minute video with any updates to weekly charts. You’ll be sent an email when the video is posted. A library of all the Elliott Wave patterns is a click away, so you’ll be able to research the rules, guidelines and get a visual reference to the pattern currently in play. 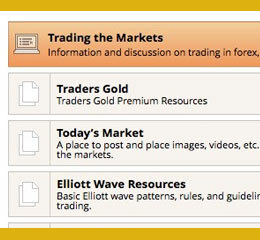 The Elliott Wave pattern library carries into the forum, so that you have an opportunity to ask questions, comment on current patterns, or otherwise further your knowledge of how markets move. The Dashboard area provides access to your current products and services,along with other valuable information and resources on the markets and economy. 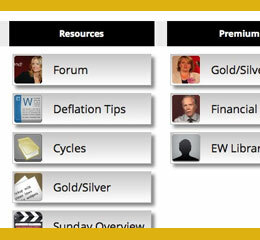 There is also a comments area, to allow you to interact with other members, and you’ll have access to a Premium Forum Area, where you’ll be able to post charts, comment on Elliott wave patterns, or conduct a private dialogue with other members. 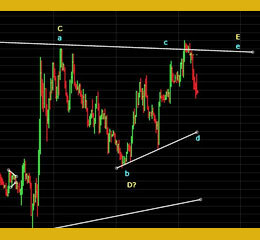 It’s of most interest to swing and longer term traders. 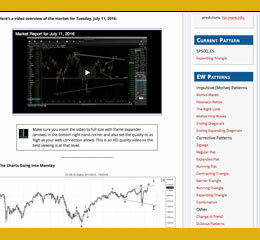 This is as much a predictive market service for traders, as it is an educational site to allow market participants to learn and apply the Elliott Wave Principle and cycle turn dates to identify more lucrative trade “set-ups” in order to maximize their profits. Day traders may still see major benefits to their trading as Elliott Waves are fractal (the same patterns set up intraday as they do in longer term wave patterns). However, core predictive information is not provided intraday. Special One Day Grand Opening Special … UNTIL Saturday, July 16, 12 Midnight EST! After signing up and the usual PayPal payment process, you’ll have instant access! You’ll have 15 trading days to determine if this service is the right fit for you. During that period, if you’re not completely happy, we’ll refund your full investment, no questions asked. We will never at any time share even the smallest amount of information regarding your association with us. You have my personal word on that. The World Cycles Institute is a research company. The information contained herein is for general education purposes and is not intended as specific advice or recommendations to any person or entity. Any reference to a transaction, trade, position, holding, security, market, or level is purely meant to educate readers about possible risks and opportunities in the marketplace and are not meant to imply that any person or entity should take any action whatsoever without first evaluating such action(s) in light of their own situation either on their own or through a professional advisor. If a person or entity does not believe they are qualified to make such decisions, they should seek professional advice. The prices listed are for reference only and are in no way intended to represent an actual trade, entry price or exit price conducted by The World Cycles Institute. This information is not a substitute for professional advice of any nature, including tax, legal, and financial. While we believe the information contained herein to be accurate, all numbers should be verified by the reader through independent sources. Trading securities, options, futures, or any other security involves risk and can result in the immediate and substantial loss of the capital invested. Every reader/recipient is responsible for his or her own investment decisions.